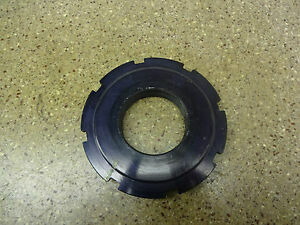 Ferrari F348 Shock Absorber Spacer / Lock Nut - 155086. Shock Absorber Spacer / Lock Nut - 155086. The sale of this item is for the shock absorber spacer / lock nut that can be seen in the pictures above. C/o. D0UGLAS VALLEY BREAKERS Ltd.